High frequency trading is the order of business in Kim Nguyen’s fledging satire set just after a period of recession. 2011-12 to be precise. 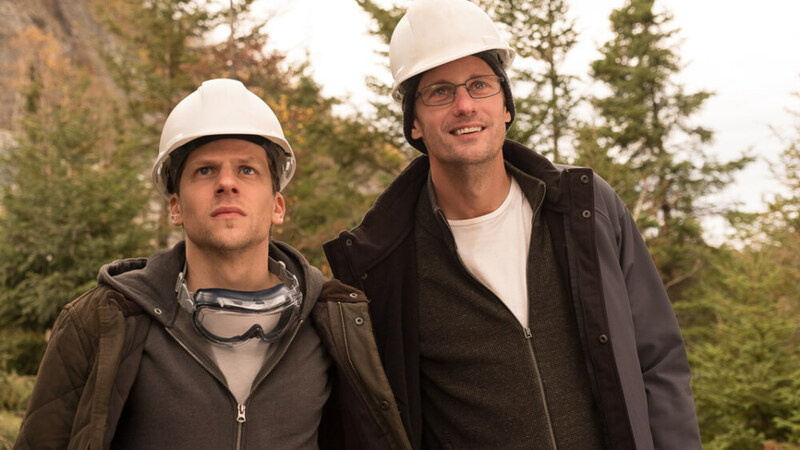 The Hummingbird Project (it’s not based on a real occurrence though you may think it might be while having metaphorical zest) has as its principal characters, two cousins, charlatan Vincent and shier, hermitic computer whiz Anton, who put in their notice for an aggressive scheme to get a minute, but potentially highly profitable edge over fellow Wall Street brokers. An exact straight line of fiber cable will have to run from a Kansas hub to New Jersey. Eva Torres, their former boss, is piqued by their decision and the bitchy business baron has more than revenge up her sleeve. Dealing with the coding and construction is costly with emotional and physical tolls (with acid reflux leading to something more significant). A vision of the American Dream has its hauteur and avarice as part of a moral relativism (with Amish folk included as part of the obstacles) compiled with hackneyed atonality. Because of the fictionalization the characters and what appears to be a David vs. Goliath yarn gets tired quicker than it should and doesn’t hold much interest (not even for those into neutrinos and microwave towers). Jesse Eisenberg as Vincent (The Social Network, Zombieland, The Squid & The Whale) doesn’t have to stretch much here doing a crude, uptight motor-mouth with entrepreneurial skill while Alexander Skarsgard (more spruced up in The Aftermath opposite Keira Knightley) dials down the virile with glowering gawkiness as Anton. Zeal is felt in this against-type representation of conflicted tics, but the material doesn’t have the moxie to make it resonate. While some of the production attributes provide tantalizing misdirection like choices of music and apace montages contrasting with slow-motion, Nguyen and his technicians just can’t tune the affair with sharpness of a hummingbird flapping its wings. Comely Mexican middle-aged star Salma Hayek (Fools Rush In, Beatriz at Dinner, Desperado) though a has catty, Cruella de Vil time as the scene-chewing Eva. MPAA Rating: Rated R for language throughout.